Michel de Rosen joined Eutelsat in July 2009 and was appointed Chief Executive Officer and Board member in November 2009. He was appointed Chairman of the Board in September 2013. 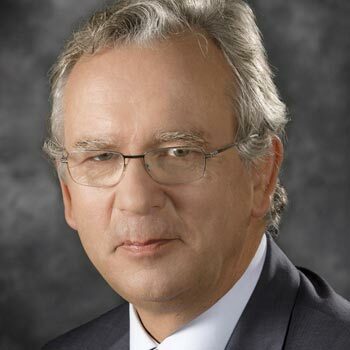 Michel began his career in France in the Inspection générale des finances in the Ministry of Finance, and from 1986 to 1988 was Chief of Staff of the Minister of Industry and Telecommunications. From 1988 to 1999 he held executive positions at Rhône-Poulenc including CEO of Rhône-Poulenc Fibers and Polymers from 1988 to 1993, and CEO of Rhône-Poulenc Rorer (USA) from 1993 to 1999. From 2000 to 2008 he was Chairman and CEO of ViroPharma in the USA. He returned to France in 2008 to the position of Chairman and CEO of SGD. Michel is a French national and a graduate of the HEC business school and France’s National School of Administration (ENA – Ecole Nationale d’Administration).